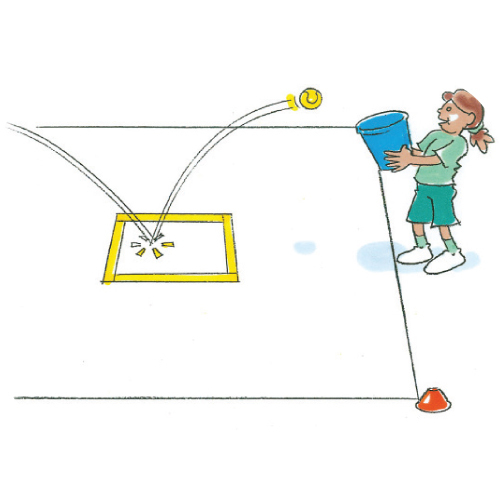 Hoop throw combines fielding, passing and target throwing. Players stand opposite their partner in a wide circle around a hoop. Instruct players to throw the ball so it bounces inside the hoop for their partner to catch. 1 point is scored for each catch. Is it easier to catch the ball on the full in the hoop or on the bounce?